Melissa Woods shares with you a list of practitioners that are a great resource for you to get past anxiety and stress so you can reclaim your life. Read their contact info for more information. Wendy graduated from the Brian Utting School of massage in 1995 where she received exceptional training in massage therapy and bodywork. After graduating, she started pursuing additional training in Craniosacral Therapy, and emotional release work. In 1997, she met Gloria Two-Feathers who began mentoring her in Chakra Therapy and energy work. Wendy studied Chakra and energy work with Gloria for five years where she learned how to balance the Chakra system to create harmony and healing in the body. As Wendy started to practice energy work on her clients and witness the positive results, her respect and curiosity for this type of healing modality continued to grow. In 2003 she embarked on Reiki training, culminating in reaching the level of Reiki Master. Wendy is a lifelong learner who places great importance on learning through observation and personal experience, which she brings into each of her healing sessions. Her spiritual foundation also plays a large role in guiding her work. Wendy lives in the Pacific Northwest where she is passionate about the environment and the role humans must play in the health of communities and the Earth. When Wendy is not working she enjoys spending time with her friends and family and can often be found outdoors in nature. She received her BA at Western Washington University. Dr. Christiana Maia-Matthews is the founder of Trilogy Chiropractic. She grew up in New Orleans and completed her undergraduate studies in Atlanta, GA where she was first introduced to Chiropractic. Her life changed so dramatically that she gave up her career and went back to school to pursue her Doctorate in Chiropractic at Life Chiropractic College West in the San Francisco Bay Area. She has cultivated a wonderful team of people who also love helping people get better. Her vision was to create a space where people feel cared about and listened to. She sees Chiropractic as a lifestyle choice where proper communication between the body and brain, structural correction, and healthy muscles replace frivolous drug prescriptions, and expensive, invasive surgeries. Dr. Maia-Matthews lives in Seattle with her husband Dave Matthews, their two teenage boys and two crazy K-9’s named Eve and Elton. 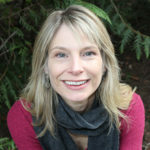 Dr. Jessica Hancock is a naturopathic physician practicing in the Shoreline area of northern Seattle. She completed her naturopathic doctorate at Bastyr University in Washington and completed two years of post-doctorate residency training. This included a year in an integrative medicine residency in Helena, Montana in which she had the unique opportunity to work closely with both naturopathic and conventional providers and completed rotations in dermatology, family medicine, gynecology, rheumatology, psychiatry, and urgent care. 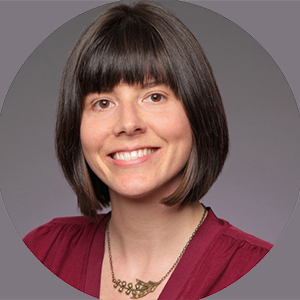 Her second year of residency at the Bastyr Center for Natural Health in Seattle, WA continued to advance her training in primary care and naturopathic practice. In her current practice, Dr. Hancock utilizes both conventional and naturopathic approaches to treat a broad range of conditions. She has a special interest in treating anxiety and depression and draws on tools such as mindfulness training, breath-work, and nutraceutical and botanical therapies. 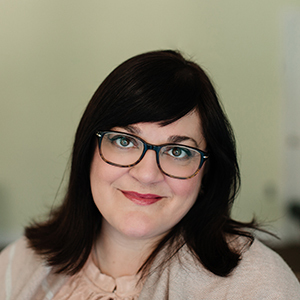 Vicki Keough is a Behavioral Health Specialist based in Seattle who has the privilege of working with both adults and children here, and throughout North America. Her practice is built on the belief that each of us, no matter how young or old, has the power to create our best lives AND at times we need external support to access our own abilities. 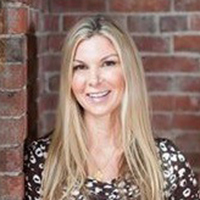 Over the years Vicki has created a unique approach that helps change unwanted behavior patterns, strengthen self esteem and build healthier, happier relationships using a combination of therapy and coaching. Emphasis is placed on the integration of the subconscious mind with the conscious using the modalities of cognitive behavior therapy and clinical hypnotherapy.Research consistently shows the use of meditation in our daily lives has a positive life altering impact and can be started at a very young age. Through in office hypnotherapy patients gain the skills to adopt meditation techniques and calm their mind wherever they are; work, school, performance based event and home. Using these exercises Vicki has collaborated with a 10 year old to overcome insomnia and partnered with a 60+ year old patient to break lifelong habits. Each session will explore tools and strategies that can be integrated in patient’s daily lives to let go of anxiety, stress and doubt and progress toward their deepest goals and desires. To learn more about Vicki’s approach and contact info visit her website. Based in the Ballard neighborhood of Seattle, Michelle Lynn Wilson is an East Asian Medical Practitioner and Western Herbalist with a Masters of Science in Traditional Chinese Medicine. 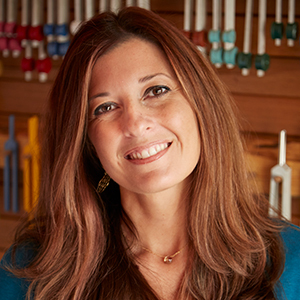 She is a licensed acupuncturist in the state of Washington and is certified nationally with the National Certification Commission for Acupuncture and Oriental Medicine. Michelle also achieved her Bachelors of Science in Herbal Medicine from Bastyr University and has taken courses abroad in Central America and Italy studying with herbal manufacturers as well as with Indigenous healers about native plants in the area and their uses and applications.